The Normal Heights rental homes can be found in San Diego, California. Normal Heights is a small area of San Diego that offers a prime location next to the downtown area and the San Diego Bay area. It also offers easy access to the 8, 15 and 805 freeways. One of the newest listings in the Normal Heights area is a gated 5 unit complex located at 4645 32nd Street. Price ranges for these units will range from $1,595 to $1,975 a month and can be seen below. The owner has done a great job of renovating these units that have never been lived in. It also offers a great location one block off Adams Avenue. 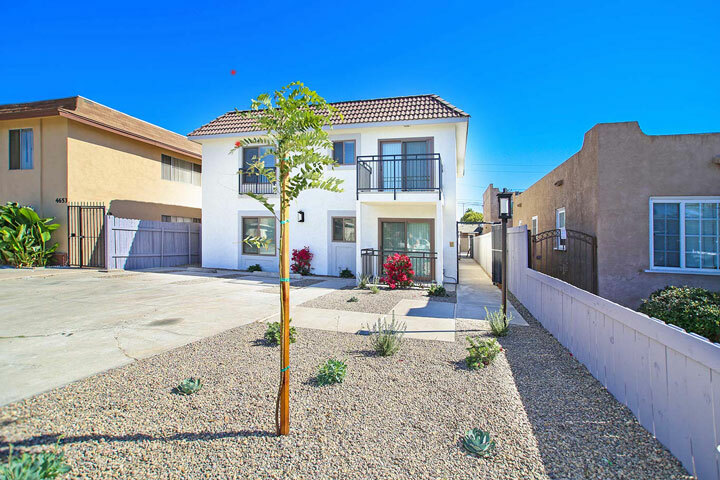 We showcase all the long term rentals in the Normal Heights area. Please contact us at 1-888-990-7111 today for more information on any of the rentals listed for lease here.